Paul Pogba delivered an inspired speech before France’s World Cuplast-16 win over Argentina, telling his team-mates “today we kill them, Messi or no Messi”. France claimed their second world title thanks to Sunday’s 4-2 victory against Croatia in Moscow and Pogba’s influence on the dressing room has been telling amid the celebrations, reports Hindustan Times. 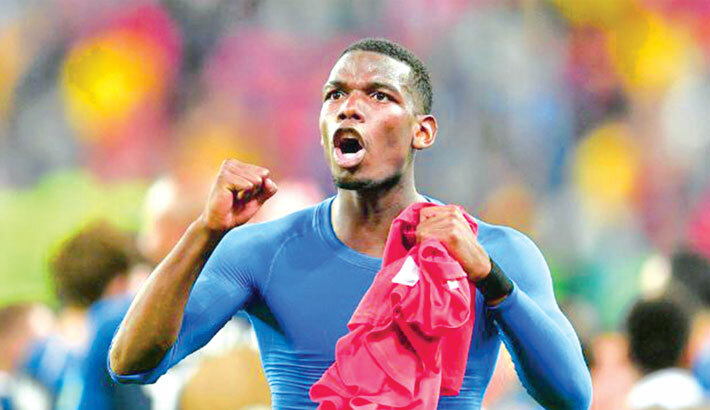 Pogba made a number of speeches enroute to the decider and footage of his comments prior to France’s thrilling 4-3 triumph at the expense of Lionel Messi’s Argentina in Kazan has emerged. “I want to see warriors on the field guys,” Pogba told his team-mates in a scene from a documentary aired by TF1. “I don’t want to go home! “We will finish happy! I want to party tonight. I want to be dead on the field, all together! I want men, warriors, soldiers.